Everyone knows that referrals are your best source of new business, but did you know that 85% of consumers trust online reviews as much as a personal recommendation from a family member or a friend? This means that your online reputation on the review sites most relevant to your business can generate referrals for you around the clock! But are people actually looking at these reviews? I think the stats* are going to blow your mind. 1. 97% of consumers search for local businesses online. 2. 91% of consumers read online reviews. 3. Consumers read an average of 7 reviews before choosing a business. 4. 49% of consumers need at least a 4-star rating before they choose to use a business. It is impossible to get away from online reviews. Consumers rely on reviews to decide which movie to watch, what hotel to stay in, and which plumber to call. Underestimating the importance of your online reputation could be costing you customers every day. You can’t afford to ignore this potential goldmine of business. For many small businesses, simply getting one new 4 or 5-star review on a major review site like Yelp, Facebook, or Google can be a total game-changer. So how do you get more great reviews? Now I say this assuming that you’re actually providing a product or service that people are happy with. If that is NOT the case, getting a bunch of crappy reviews won’t help at all, but if you provide a great customer experience, your customers will often give you reviews if you ask. Focus Your Efforts on Selected Networks – You might want your business to be on every social media platform out there. But, posting content on each platform, seeking reviews and then posting those reviews on every platform is not sustainable for most small businesses. Instead, focus your efforts on two to three platforms that are most important to YOUR business. For instance, if you’re marketing B2B, you’ll want to make sure you’re getting lots of recommendations on LinkedIn. Make the Review Process Simple – More people will leave reviews on your social media pages if you make the process as simple as possible. Add social media buttons on your website and your marketing emails that go straight to your social media review page. Customers are more likely to post reviews when customers are not made to go through multiple web pages to write them. Send Customers Emails – Your customers are probably busy and leaving you a review may not be top on their mind. Try sending them and email asking them for a review and give them a link to the review site(s) you’re focused on. Commit to Social Media – Social media platforms such as Facebook, LinkedIn, Instagram, Twitter and other websites are excellent platforms where people love to talk about products and services. If you have a good following on your social media pages, it is a great way to seek reviews from customers. If people are already taking out time to scroll down social media, they can take out time to review your company too. Don’t Just Promote, Listen and Interact – Most small and mid-sized companies out there focus on promoting the reviews they receive on a social media website. But, these platforms offer you an opportunity to communicate and engage with your customers, so they should be used that way. You are going to get more positive reviews on your social media pages when you start to use it as a customer service platform. By getting more social with the audience, you will receive more comments and more reviews. Reviews that Support Your Marketing Claims – If your business has a Unique Selling Proposition or a competitive advantage, choose reviews that highlight them. Focus on reviews that talk about the benefits of your product or service as opposed to the features. Select Reviews That Sound Real – The reviews you pick should be from real customers, or your audience won’t take them seriously. Consumers will sniff out fake reviews and will be suspicious if they find all of them to be over the top or if they’re from unverified sources. Short and Sweet – Pick reviews that are short and eye-catching. Since social media platforms have too many posts and images running all the time, you need to post reviews that will capture the attention of your audience. Even if you have picked a lengthy review, just post one to two lines with a link to the full review in case the customers want to know more. If you’re not already convinced how important reviews can be to your bottom line, how about this great side-benefit? Getting lots of reviews increases your relevance with the search engine algorithms so you’ll improve your rankings and get more organic (free) traffic. If you respond to all of your online reviews, this can improve your rankings even more. So what are you waiting for? Put together YOUR online review strategy now and create your own 24-hour referral machine! 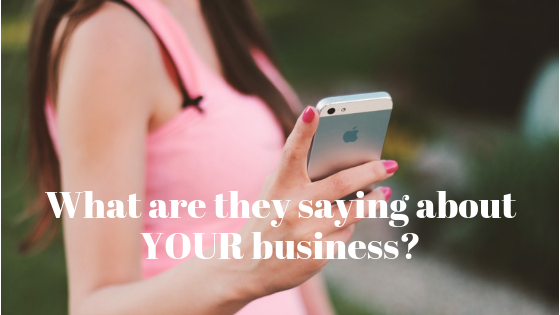 For many businesses, just getting a few great reviews can put them ahead of their competitors. Put together a plan of action now and dominate the competition. Over time, you have the opportunity to become the overwhelming and obvious choice for your potential customers searching online for businesses like yours.